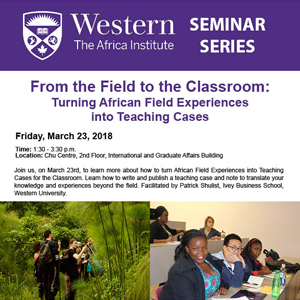 Join us, on March 23, to learn more about how to turn African Field Experiences into Teaching Cases for the Classroom. Learn how to write and publish a teaching case and note to translate your knowledge and experiences beyond the field. Session run by Patrick Shulist, Ivey Business School. Please note that graduate students who attend and wish to get funding to write a case are eligible to receive up to $1,000 per case from The Africa Institute. 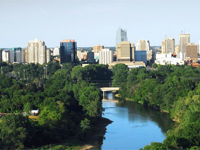 More details regarding this funding opportunity will be explained at Friday's session.